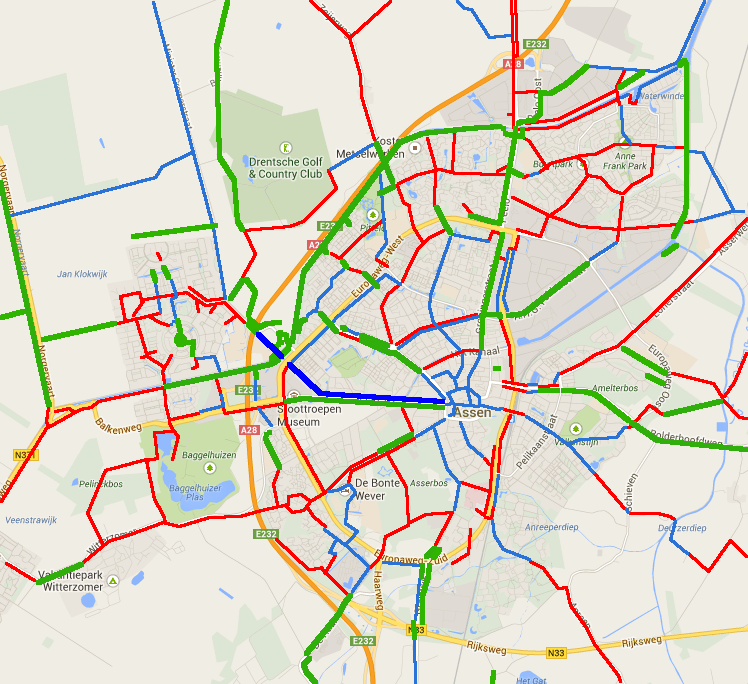 A view from the cycle path: Has Assen progressed over the last six years ? A great post, indeed a great series. Inspiring and depressing in equal measures. Think about how your government gets on with things that they want to do. How well they can fund things that they want to do. Buck passing only happens with things that are not a high priority to them. Great post and an interesting read. I see you found the awful bus-stop near the new shopping centre. Perhaps it's interesting that I have been told that the old Jumbo supermarket near the veemarktterrein is more popular, especially for cyclists, than the one in the new shopping centre. In the original plans the old Jumbo would have been closed but now a cycle-friendly and a cycle-unfriendly supermarket compete with each other. Titus, I heard the same about the two Jumbos and indeed while I shop sometimes at the old one, I've never used the new one. Easier to go to Albert Heijn where I can park conveniently outside the shop. Jumbo really should have taken more care about the way the place that their new shop was to be in was designed. An architect's error has now doubt cost Jumbo money, as well as other shops in the same development. @Edward - The great majority will be local government - local roads, and smaller interlocal roads all are. The only exception I see is the change to the railway station area mentioned at the end, which is paid partly by local government, partly by the railroad companies and authorities. Great article, it really does put the 1.7km or so of new cycle track in London this year into perspective. That new bus stop does seem particularly bizarre in a country where good bus stops are overwhelmingly the norm. Has there been any outcry from local people about it? DfT: I've not noticed much annoyance over the bus-stop (Titus excepted !) but I think this is because it's on so few people's cycling route. 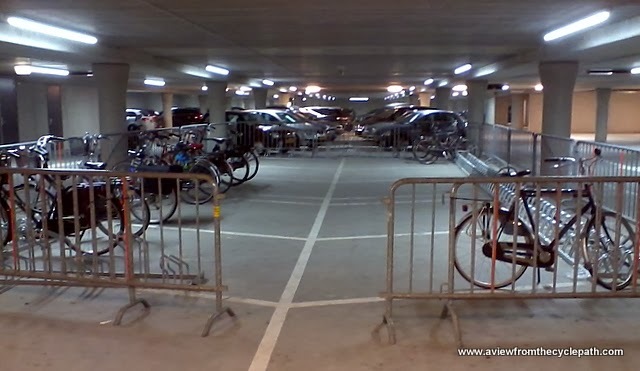 The bad cycle parking has been the cause of a lot of complaints and made the newspapers locally. I really appreciate the detailed explanations in your blog. It was strange seeing so many helmets on the Norwegian group, who otherwise simply look like any other group of Northern Europeans and not strikingly different from a group of Dutch people (no loud colours, etc.) I believe that country was afflicted with that type of cyclist-scaring? Pity that; when I ride in cold weather (here in Montréal), I really want to be able to wear a warm, cosy hat! You may well have read the bicycle blog in the Guardian, after the dreadful spike in killings of cyclists in the previous fortnight. lagatta: That basically means you are opposed to mass urban cycling. 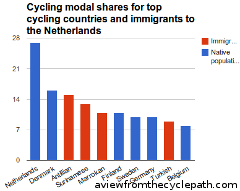 pietari: There can be no such thing as "mass urban cycling" in the UK. If there was extra room for any traffic pathways, more trains would be the most effective users for it. You can easily read the rest at the Guardian Environment Bike Blog... posted 21 November 2013. I've been busy the last couple of days but really wanted to say what Edward has said. This post on Assen and the trilogy is a real tour de force, and that's saying something because the writing on your blog has been at a very high level for many years now. In seems you're applying the Dutch attitude to their cycling infrastructure to your writing and continuing to set higher standards. Australian governments build and maintain very good roads for cars. 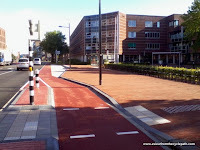 The same could be done for cycling infrastructure but first we need to show them what that is. The other major barrier is of course our insidious, soul-rotting mandatory helmet law which makes it so hard to "sell" cycling here. Even my middle-age brothers who grew up riding bikes without helmets, climbing trees and fences and generally performing acts of childhood daring look somewhat aghast at me now if I opine that the law should be repealed. Cheers anyway. Your latest blog has got me thinking about a White Christmas tour of the Netherlands next year as I'd love to experience cycling while it's snowing. Somewhere in Assen's sanctum there is an advocate of shared space; see the recently renovated Collardslaan, Kerkplein and Zuidersingel. These are nominally 30 km/h roads but as the road itself is now visually wider (no more bike lanes) cars run faster than before and cyclists tend to ride on the sidewalk on one side of the road - it simply feels safer. The zebra crossing at Oosterhoutstraat helps but it took a lot of lobbying from the neighbourhood to prevent it from being removed as it was in conflict with the theory. The same principle seems to apply to the planned new raiway station: pedestrians, cyclists and cars visiting the station all share the public space around it if I read the plans correctly (on view at the "stadhuis" at the moment). Not a happy development. Frits, I've shown the last few study tour groups what's been done on those roads. I'm a bit ambivalent about it. The old situation wasn't great, the newer speed limit and surface helps and there is (I think) usually less traffic there than before. However, as you say, people ride bikes on the pavement because it feels safer. I'm also not enthusiastic about the new arrangement of bus-stops, which have caused problems due to drivers pushing through. The area around the station might work out OK. Sending the main road underground will hopefully reduce the amount of traffic going along Stationsstraat and into the other already transformed streets. However, I share your concern that someone's keen on shared space and that this could easily be detrimental to all the good stuff that's been done. 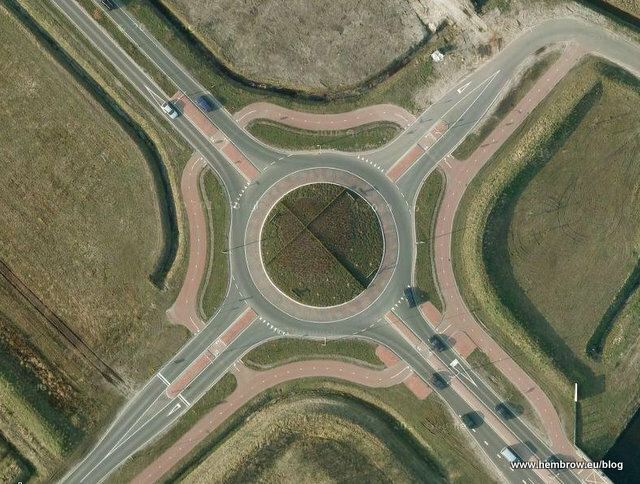 Having said that, there's also evidence of a turn against shared space. Note that Ceresplein no longer allows all and sundry to drive through there, and it's a lot better for being a pedestrian and cycle space instead of shared as before (though I'm not sure it was ever declared to be a "shared space" it certainly looked like one). David, The planned tunnel in front of the station is no more than an underpass for through traffic and mainly eliminates part of the existing traffic lights. Stationsstraat will probably remain as busy as it is, only the waiting times will be shorter. I'm 74 so will probably not be around to see how the plans work out; a pity really :-).